XMAS SHOPPING FOR RELATIVES LIKE YOU GET A CANDLE! YOU GET - ProudMummy.com the Web's Community for Mums. XMAS SHOPPING FOR RELATIVES LIKE YOU GET A CANDLE! 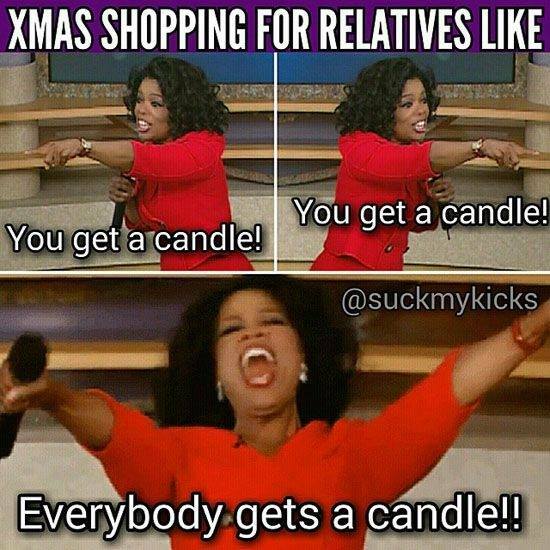 YOU GET A CANDLE! EVERYBODY GETS A CANDLE! !